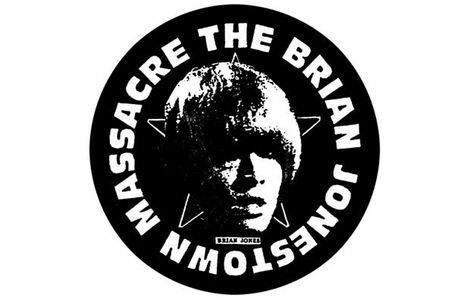 San Fran psychedelic rock and rollers The Brian Jonestown Massacre can match their legendary tales of debauchery with their exhaustive and often excellent catalogue of music. Super-fan Shell Zenner delves into the darkness to select her top 10 tracks. The music documentary DIG! may be something that The Brian Jonestown Massacre‘s lead singer and chief songwriter Anton Newcombe isn’t proud of – nor representative of the BJM – but it serves as the perfect introduction. Charting their progress over seven years alongside that of contemporaries’ the Dandy Warhols, it certainly served as my perfect introduction. After that I devoured the musical legacy that they had created and I’ve followed their releases and progress ever since. I’ve seen them with guitarist Matt Hollywood and without Matt Hollywood. Playing to 200 people and playing to 2000 people. Their recent show at Manchester’s Ritz blew my mind; the best I’ve ever seen them – interactive, full of banter and in support of an awesome new record – Aufheben, which you should really check out. 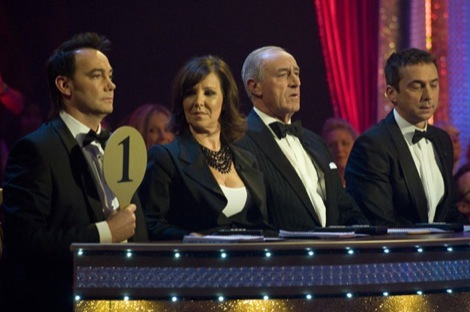 But for the moment, I’m just going to share my favourites from their legacy with you. 1. Vacuum Boots from Take It From The Man! A good introduction to the band, showing their faster paced side, while still displaying the drone and dirgy side to the band. Typical BJM through and through, this melancholy ditty and its understated guitar tones slip and slide alongside the constant tambourine strokes offered by Joel Gion. Strangely enough, to me, this always evokes the song they play when the list of fallers is announced in the Grand National. I wish it was the song they played. Sublime, underrated tones that totally bliss you out. This video shows Matt Hollywood back in the band too. 4. Servo from Give It Back! It’s the lead guitar riff that makes this song so special. As always the song is super understated but after several listens it embeds itself into your unconscious. The live video demonstrates quite clearly the show that BJM have put on for years post-DIG!, with Anton standing sideways onto the stage staring forward to the band rather than the crowd. Wwhether this is to keep an eye on the band or to avoid interaction with the crowd is something, I’d really like to know. The lead female vocal, originally by Mara Keagle, allows Anton to indulge his guitar and interact more in the live show. What makes this song special? Its understated calm cool? Or the fact that its off an 18 track album called Their Satanic Majesties Second Request which was one of three (yes, three) records released by The Brian Jonestown Massacre in 1996. WOW. it all starts for me when the drums kick in, the intricate lead guitar and driving bass overlaying this build and build in intensity. Talking about bass too, this video clearly shows that it’s Will Carruthers on bass now in the live show and on the new records, he was in Spiritualized and Spacemen 3 too. ‘I can’t explain all the things that I’m feeling, and when I look I don’t know what I’m seeing.’ Trippy, dark and undulating. Recorded and released on the bands debut release Spacegirl and Other Favourites and again on the band’s second album Methodrone, named as a pun of the drug Methodone, the treatment used to combat heroin addiction. Fast forwarding eight years from That Girl Suicide, the Brian Jonestown Massacre‘s line up has gone through a number of changes and their sound has mellowed slightly. The bass solo on this makes my hairs stand up on end. Released on 2001’s Bravery, Repetition and Noise, this is one of my favourite tracks. It’s all about the chorus chord changes for me, they draw me in and for a non smoker I feel the need to exhale deeply with every chorus of this song. The lyrics seemingly detail a failed relationship, its all very heart on sleeve stuff delivered in the inimitable BJM style. The only video that isn’t a live set. There is not much to be written or found about this song, apart from the extended title ‘If Love Is The Drug Then I Want To OD‘. I discovered it on the BJM‘s best of Tepid Peppermint Wonderland: A Retrospective which is another great introduction should you need one. 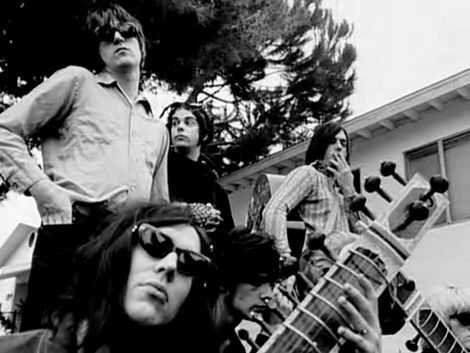 While love may be the drug that enthuses The Brian Jonestown Massacre, they are the drug that enthuses me. Editor’s note: Shell chose the live footage videos and we threw in the originals for good measure.